Get ready for a showdown in the television categories at this year's People's Choice Awards! The TV actor finalists were not messing around when E! News caught up with them to talk about their different PCAs nods and some even started their campaigns to win right there on the red carpet. For example, Jesse Tyler Ferguson was all about campaigning to make sure that his long-running ABC sitcom Modern Family, takes home the Comedy Show of 2018 award at this weekend's PCAs. Meanwhile, the cast of Outlander were also soliciting votes as they explained why their hit Starz series deserves to be the Bingeworthy Show of 2018. They seriously want to take home that trophy and they might just do it! Milo Ventimiglia and Darren Criss on the other hand wanted to allow the people to have their say without any added pressure to vote for them. The This Is Us star even suggested that fans votes for someone else who might be more deserving of the award. We can't get over how humble he is, but we still think he is pretty deserving of all of the fan love! Harry Shum Jr. realized the power of the fan vote at the People's Choice Awards when the Shadowhunters viewers wrote him in during the first round of voting to earn him a finalist spot for Male TV Star of 2018. That truly is the power of the PCA if you ask us. Check out all the best PCAs reactions from the TV actor finalists below and find out which stars will take home trophies when the People's Choice Awards airs live on E! this Sunday, Nov. 11. 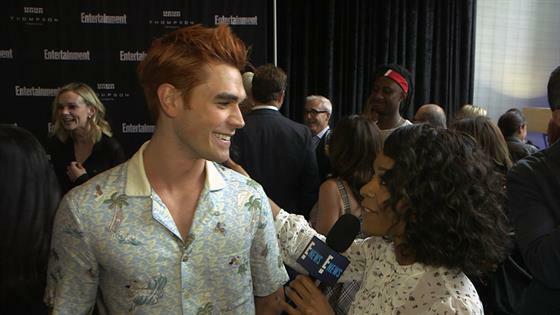 KJ Apa knows that fans can't get enough of his show Riverdale and he loves them for their continued support. After all, the CW hit is up for four PCAs including Drama Show of 2018, Male Star of 2018 for Cole Sprouse and Female Star of 2018 for Camila Mendes as well as Drama TV Star of 2018 for Apa. When E! News' Zuri Hall revealed the PCAs news to him on the red carpet, the 21-year-old actor turned to the camera and coyly asked, "What does your heart tell you? Does it tell you to go for us? I think it could be." How adorable is that? 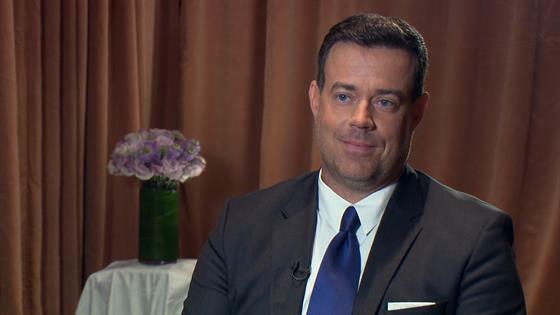 Carson Daly refused to campaign for The Voice to become a winner at the PCAs. Instead, he spoke about how meaningful it was to be a part of the show and revealed that "everyone is jumping up and down" about being a PCAs finalist. We wonder if the NBC hit series will take home the award for Competition Show of 2018 even without the show's host campaigning for votes. 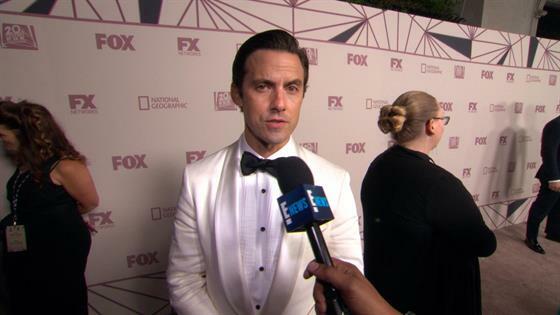 We love that Ventimiglia is so humble about This Is Us being up for Show of 2018 and Drama Show of 2018. When asked about why people should vote for the NBC family drama, he explained, "Oh man, no, no, no. Vote for someone else, man. Someone who is much more deserving than me." That's one modest star if you ask us! 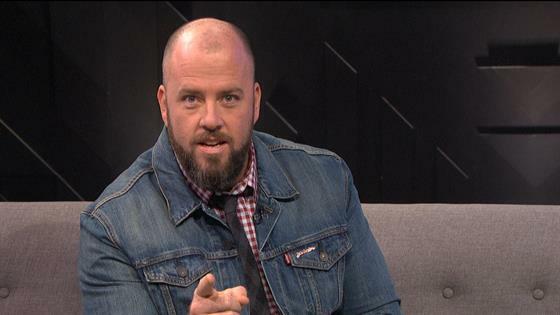 Chris Sullivan realized the importance of the PCAs for This Is Us fans from the moment he heard about the finalist nods. "For the fans to have the opportunity to vote on the things they are connecting with is so important to us. It means the world," the 38-year-old actor exclusively shared with E! News hosts Jason Kennedy and Giuliana Rancic in September. "It means that their voice is heard. They have a say in what they get to see and what they engage in." Shum celebrated with a champagne toast when he found out about becoming a write-in finalist for Male Star of 2018 at the People's Choice Awards. "I'm surprised. I'm surprised as everyone else. Being able to be on this ballot is amazing. I didn't expect it at all," the Glee alum explained to E! News. "The fact that the fans made it happen is what's so special about this, hearing about it. It's the fact that they rallied together and got me on the ballot. It's insane." Criss, who is up for Drama Star of 2018 for The Assassination of Gianni Versace: American Crime Story, knows the PCAs are all about the fans. "Well, it is the People's Choice so I don't know if I can turn the tide in what the people want but if the people feel like voting for me—cool," Criss told E! News earlier this fall. The 31-year-old star even joked that fellow finalist, 13 Reasons Why, might be a better choice because "they are younger and prettier" but we definitely think Criss is great! Jesse Tyler Ferguson Says PCAs Nominations Are an "Honor"
Ferguson was not above campaigning for Modern Family to take home the trophies for Show of 2018 and Comedy Show of 2018 at the People's Choice Awards earlier this fall. The Montana native quipped, "Listen, we've been working hard for you all for ten years. Throw us a tchotchke!" There was no denying the excitement of the Outlander cast about their show becoming a PCAs finalist for Bingeworthy Show of 2018. 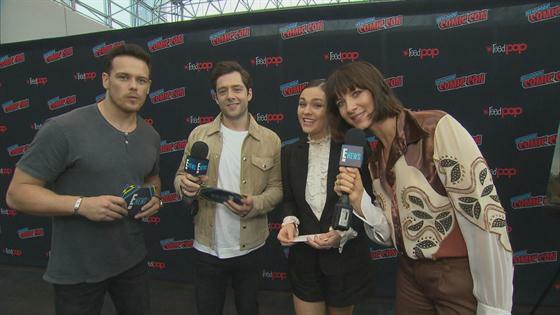 "Amazing," Caitriona Balfe who plays Claire Randall on the show told E! News. "Who has the best fans?" she asked the camera before the rest of her cast mates yelled, "We do!" We couldn't agree more!